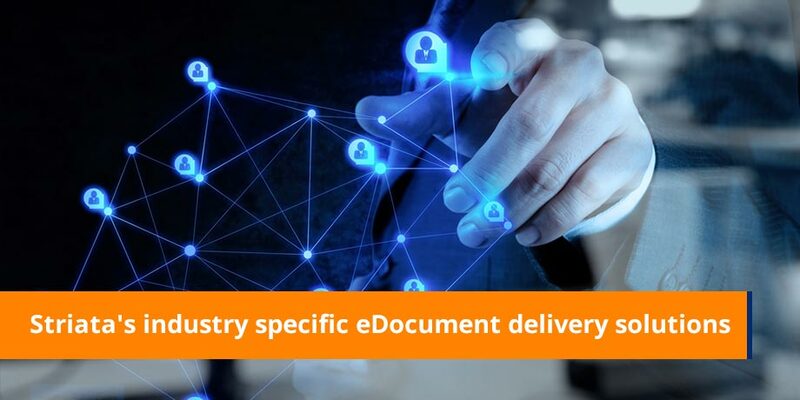 Experience Striata email document delivery solutions via great, functional industry specific demos that are accessible and available via the new Striata website. The convenience of email delivery will get your customers to switch off paper in one click. Experience it for yourself! Check out our demos – we will push a demo to your inbox based on your requirements. We help major financial institutions across the globe achieve more than 4 times industry averages for paper turn-off! Reduce your operational costs for bills and policies by 85%! Drive paper turn-off and costs by delivering these documents securely via email instead. Our clients are reaping the benefits of email delivery, so can you! Cut paper, save costs, market to your customers effectively and get payments quicker with Striata. Our Telecommunication clients experience significant and immediate savings, so can you! There is no need to pass the ever increasing paper and postage expenses onto your customers. Optimize your billing platform with Striata, and experience dramatically lower costs due to high paperless adoption rates. Striata’s eBilling solution drives paperless adoption.